That's a challenging verse, isn't it?! We each surrendered our heart to God and our old self was crucified with Christ when we became Christians (Romans 6:6). Jesus reminds us that this surrender is something each of us should do daily (Luke 9:23). 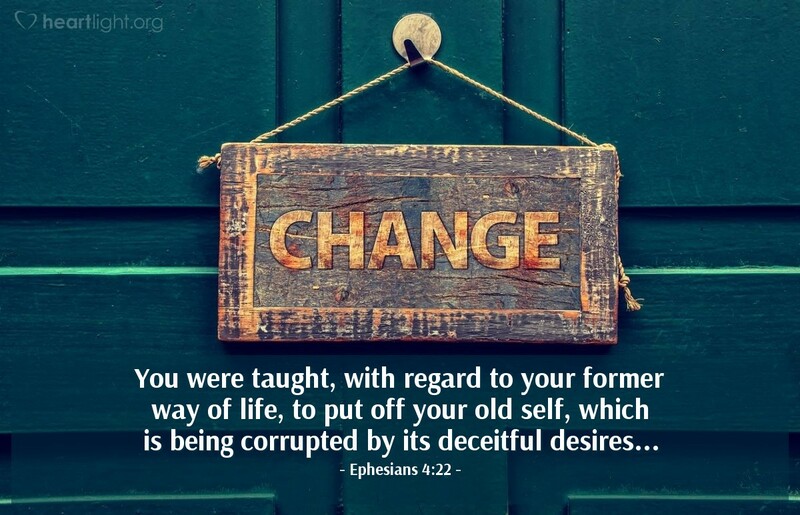 We need to put the old sinful life aside every day and choose to live for Jesus in response to God's grace. As we begin this new year, let's make it our spiritual habit to consciously offer ourselves to the Lord and joyously live under his lordship of Jesus each day. Holy and Almighty LORD, my Father in heaven, I want to honor you and ignore the temptations of Satan. Please empower me with your Spirit and capture my heart with your grace as I commit to live each day for you. In Jesus' name I pray. Amen.